COMMITTEE of the Convent Enquiry Society. 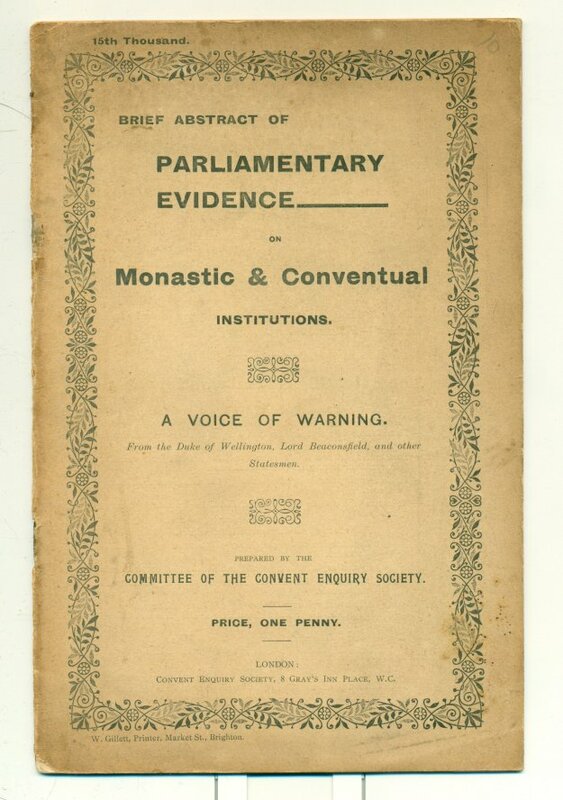 Brief Abstract of Parliamentary Evidence On Monastic & Conventual Instutitions. A Voice of Warning. London: Convent Enquiry Society, nd. (1890). �15th Thousand� so stated. Tall 8vo., original printed wrappers, 20pp. Cheap paper browned as usual, a bit of wear along the spine but still a near fine copy of this anti-Catholic pamphlet.